Thoughts from a Traveling Tech: Really Santa? I have a neighbor that decorates every year for Christmas and he does it big. The other night we caught a sight that was unbelieveable. 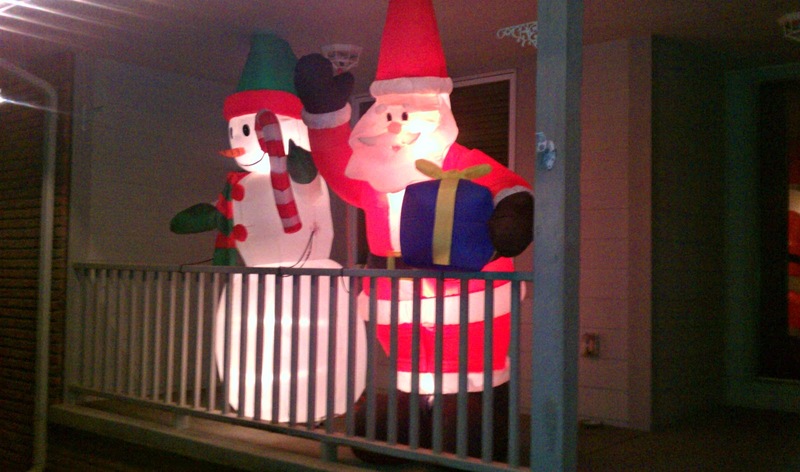 Santa and Frosty on the porch partying hard. 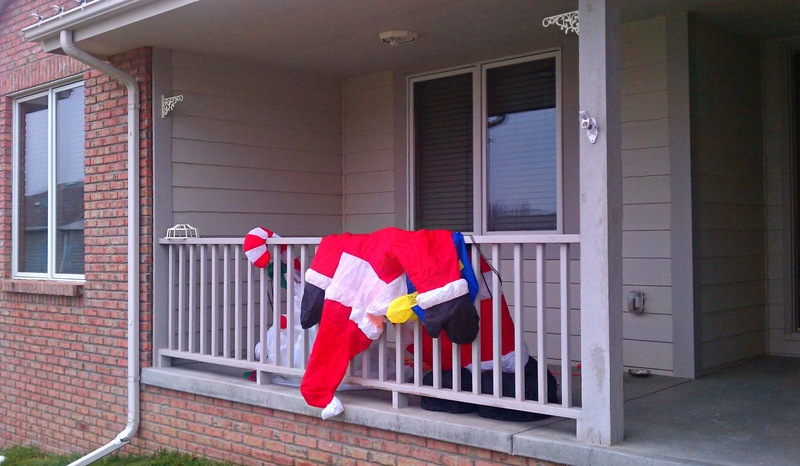 It's sad that the fat man has not only decided to do this when I am sure he is needed up north to get things ready for the end of the month. But then he drags Frosty in this and does it all publicly. Even worse is the way we found them the next morning. As you can see, then are clearly hungover and out of control.